Built to commemorate the “Liberator” Daniel O’Connell (1775-1847) after whom the street was renamed after independence. 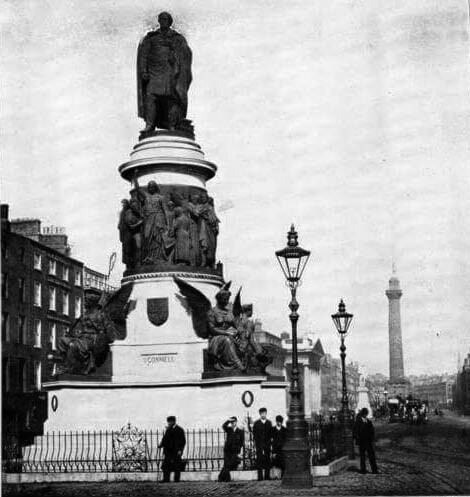 The O’Connell monument was erected after a subscription list was opened in 1862. Two years later a competition was announced but none of the entries met with the approval of the committee. 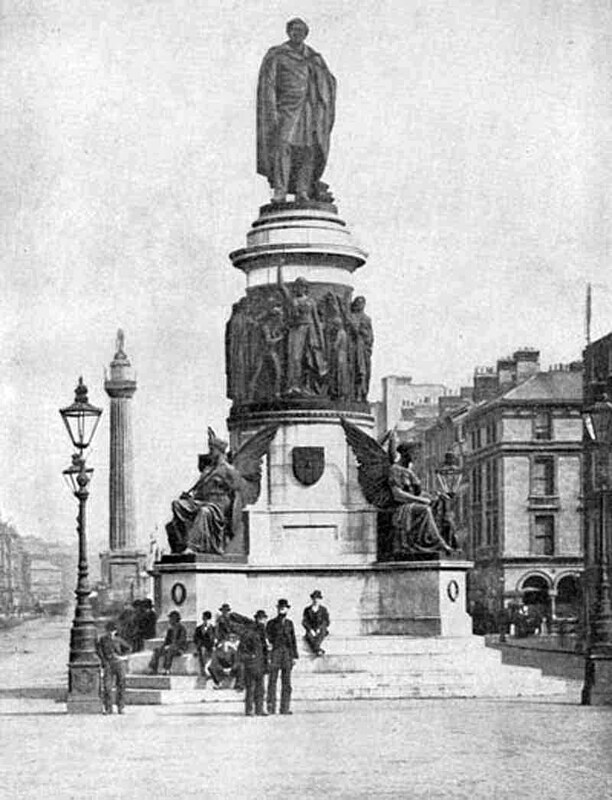 After a second failure through competition, it was decided to ask John Henry Foley (1818-74), the leading sculptor of the day and who was then working on the Albert Memorial in London. He died before it was completed and his assistant finished the work. 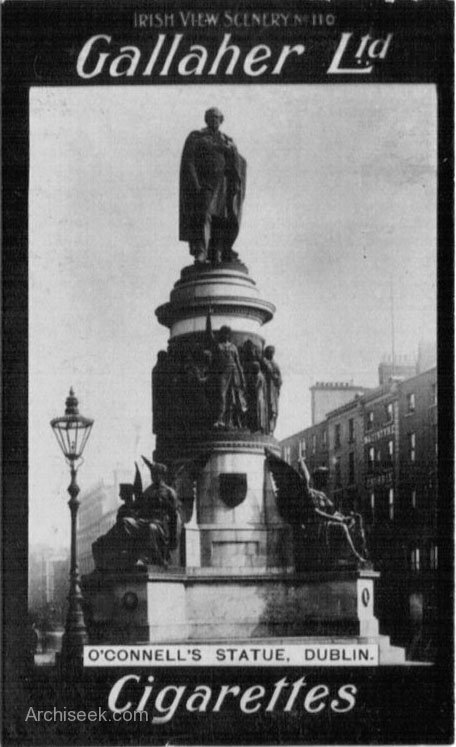 The monument is in three parts, surmounted by the figure of O’Connell. The base is heavy limestone with four winged figures representing Patriotism, Fidelity, Courage and Eloquence. 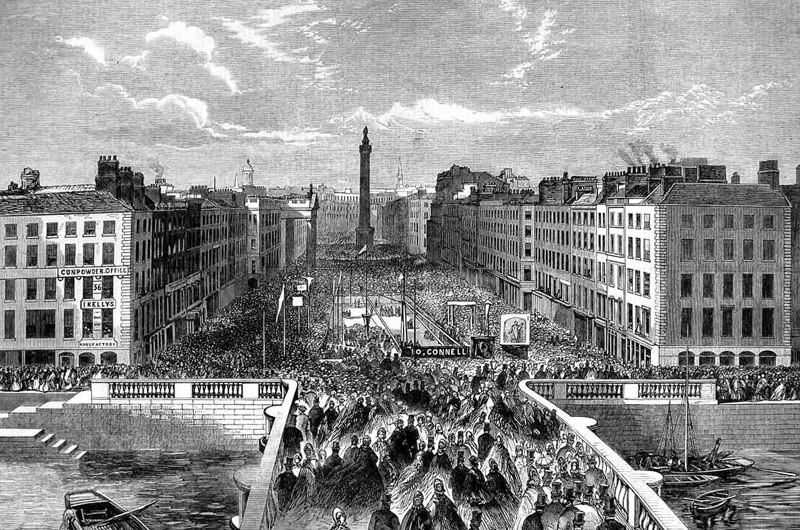 Above this is a drum surrounded by figures representing O’Connell’s labours and triumphs.